Videocon is a known consumer electronics brand, that got into the smartphone market around 2009. Ever since it has manufactured and released a lot of cost-effective devices such as Tablets, Feature phones, and Smartphones. 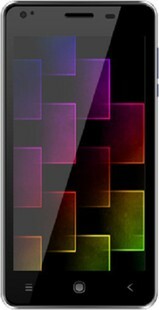 Videocon recently unveiled its new range of smartphones, the Infinium series. The Videocon Infinium Z51 Nova Plus is the latest device in this range. Talking about buying an affordable smartphone, the Nova Plus comes up with excellent options. This device offers a strong processor, an outstanding camera, and ample inbuilt storage. While buying this device, the two things that you would need to keep in mind is that the battery backup is above average and so is the non-HD display. But considering the fact that this is a mid-range smartphone, the device comes out as quite a stunner. The Videocon Infinium Z51 Nova Plus specifications include an impressive 5-inch TFT IPS LCD display with a screen resolution of 480 x 854 pixels. Booting on Android 4.2.2 KitKat OS, the device is powered by a 2000mAh battery. The processing of the device is made agile by a 1.2 GHz processor coupled with 1GB RAM. The phone offers ample storage options, by housing 8GB internal memory that can be expanded up to 32GB via a MicroSD card. Talking about the excellent quality cameras, the phone is equipped with an 8MP rear camera with LED flash and a 5MP front snapper for instant selfies. For connectivity, the phone offers Wi-Fi, Bluetooth, GPS, GPRS, 3G dual network, and USB connection as options. This affordable yet impressive smartphone also comes with some preloaded apps, all in all the smartphone scores high marks. The Videocon Infinium Z51 Nova Plus price starts at a tempting sum of INR 5,699. Videocon Infinium Z51 Nova Plus full specs and reviews as of Apr 2019. Buy it here!